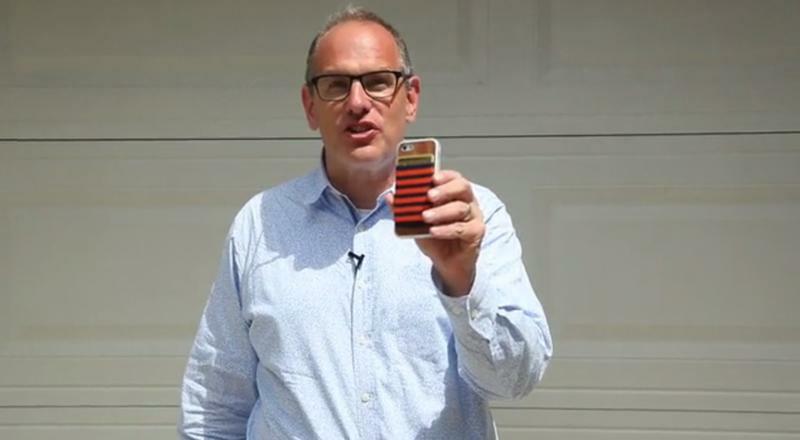 The iPhone 6 is here, and for any clumsy or cautious Apple fans that means it’s time to pick up a new case. Apple already offers its own plastic and leather options, but there are plenty of other cases to choose from, including a few looking for crowd-funding support on Kickstarter. Today we’re highlighting one interesting case that turns your iPhone 6 isn’t a hub for your credit cards, drivers license and even your keys. 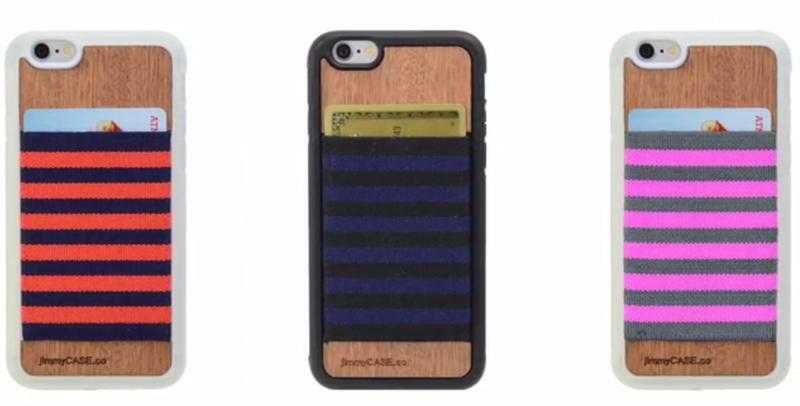 jimmyCASE is one of those wallet-case hybrids you’ve probably seen in stores or out in the wild, but it does a few things that put it ahead of the competition. First, it doesn’t use a flap design, which might seem like a good idea but ends up getting in the way when you need to make a call. 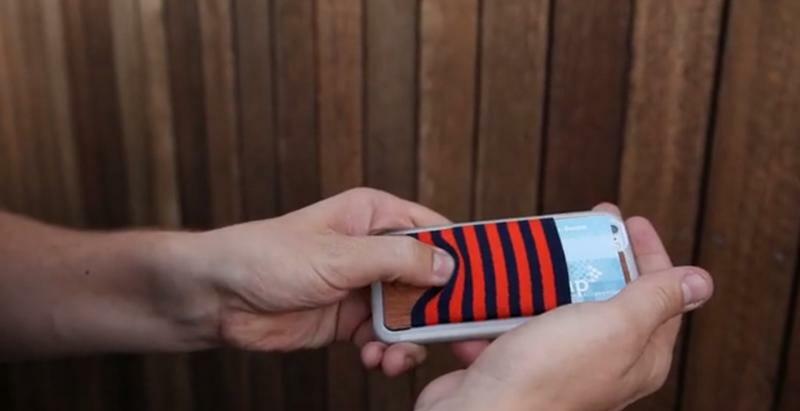 Second, it features a flexible band on the back that holds all your cards in place and can even stretch to fit keys, lipstick or anything else around that size. 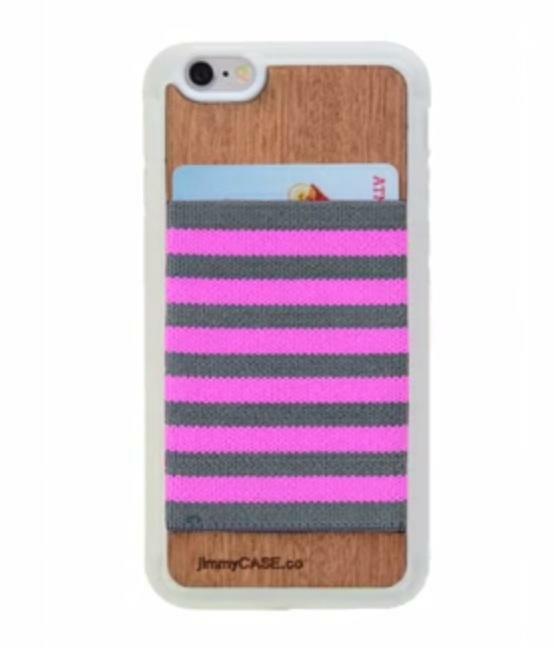 The iPhone 6 jimmyCASE comes in five different designs with striped colors and either a white or black bumper that hug the edges of the device so the screen won’t shatter if it falls face down. The back is made from durable mahogany wood while each elastic band is custom woven and flexible enough to fit up to six cards at once. 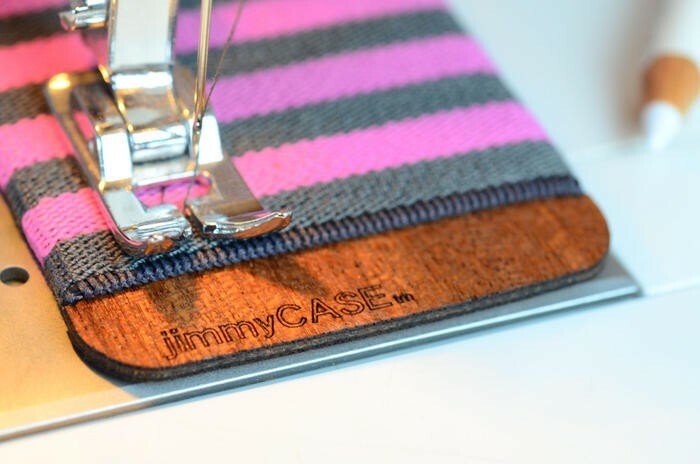 The story behind jimmyCASE is as cool as the product itself. 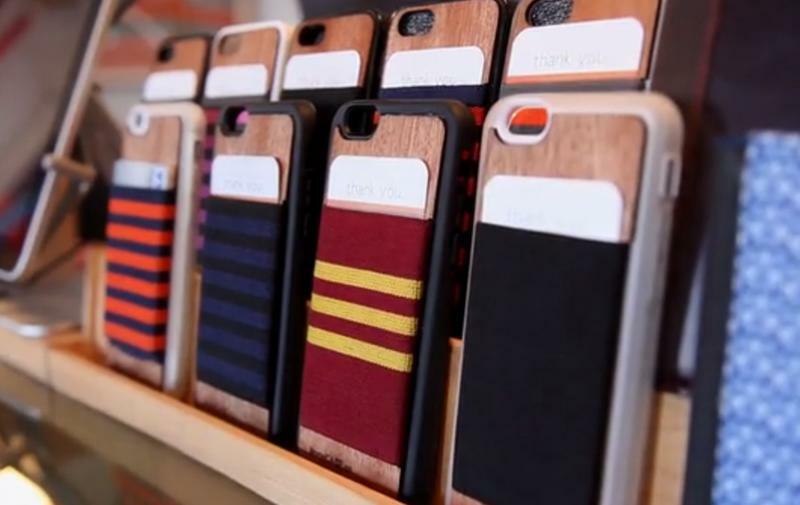 Just like Apple, the company got its start in a California garage making iPhone 5 cases by hand. Since then business has really picked up for creator Daniel Smith, who says he gave up a career in TV to focus full-time on jimmyCASE. 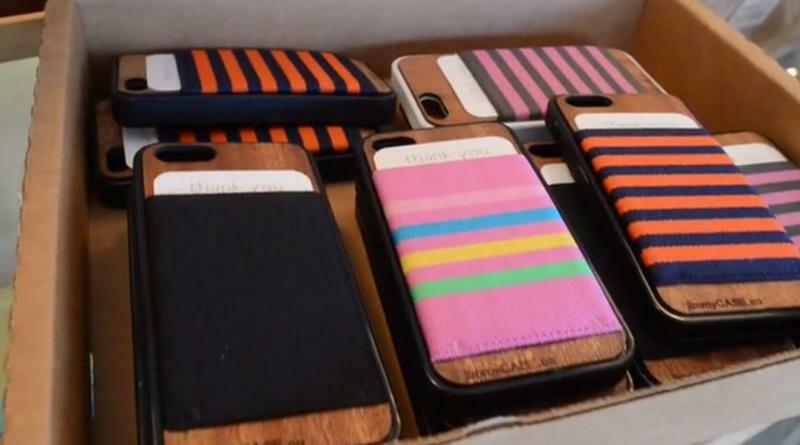 Now he’s hoping to raise enough money to move operations into a full-fledged factory space in downtown Los Angeles and kickoff mass production for an iPhone 6 case. 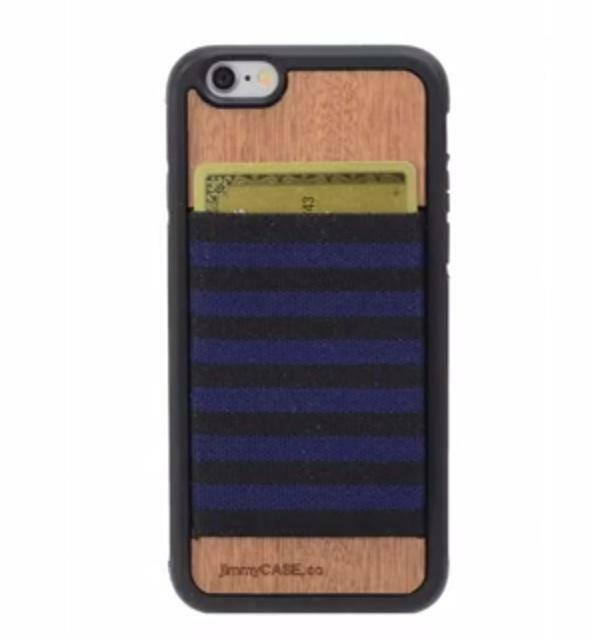 jimmyCASE is also offering a special $500 case with your name laser-etched into the wooden back, or you can pre-order 50 customized cases in bulk with the same company logo or personal message for $2000. 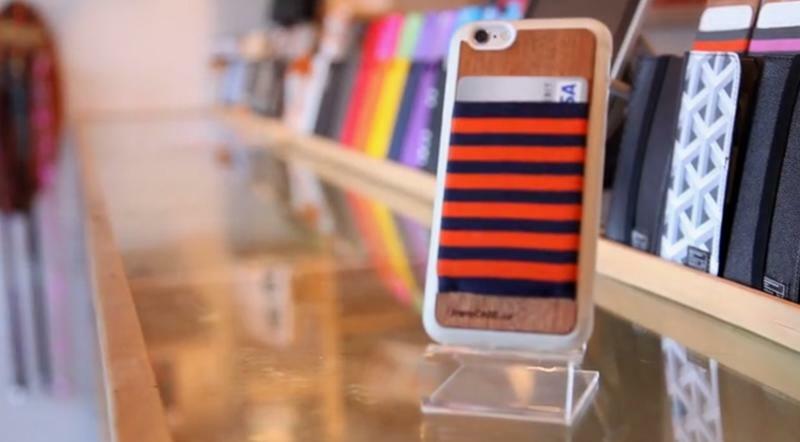 We also asked about an iPhone 6 Plus case for any phablet fans out there. You’ll be able to buy one straight from jimmyCASE by the end of month for $49, though there won’t be a separate Kickstarter campaign for the larger case which means no early bird special. 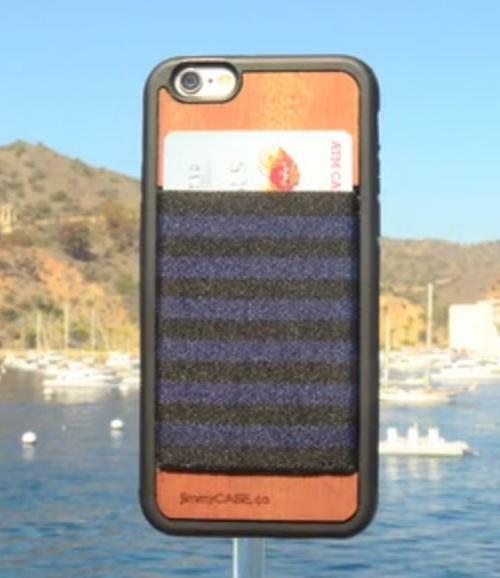 Kickstarting jimmyCASE is more than just an opportunity to get your hands on a cool iPhone 6 case for cheap. 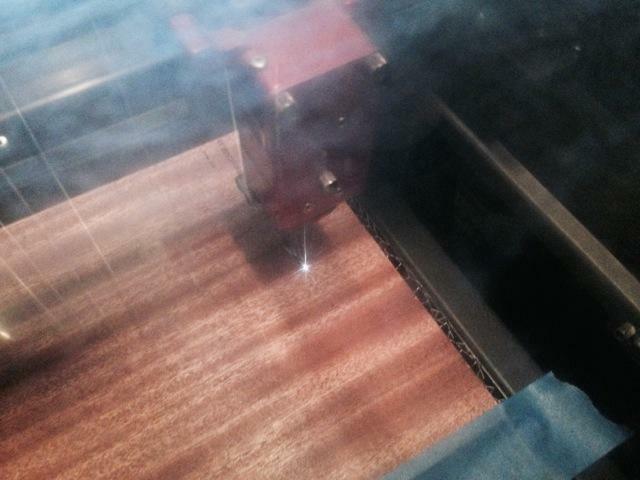 It’s a chance to help a small company make the move from some guy’s garage to a real factory. This accessory-maker might not be the next Apple, but it’s following a similar path and it needs your help to get there.